Apple has announced this morning its HomePod wireless speaker will launch on Friday, February 9 in the US, UK and Australia. Pre-orders will begin this Friday, January 26 for these initial launch countries. Apple also mentions HomePod will debut in France and Germany “this spring”, but there is no mention of Canada in its press release. “HomePod is a magical new music experience from Apple. 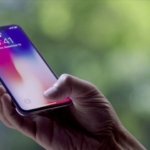 It brings advanced audio technologies like beam-forming tweeters, a high-excursion woofer, and automatic spatial awareness, together with the entire Apple Music catalog and the latest Siri intelligence, in a simple, beautiful design that is so much fun to use,” said Philip Schiller, Apple’s senior vice president of Worldwide Marketing. Apple explains “Setup is as easy and intuitive as setting up AirPods,” adding all users need to do is hold their iPhone next to HomePod to set it up. “We’re so excited for people to get HomePod into their homes, apartments and businesses to hear it for themselves. We think they will be blown away by the audio quality. The team has worked to give Siri a deeper knowledge of music so that you can ask to play virtually anything from your personal favourites to the latest chart-topping releases, simply by saying ‘Hey Siri,’” added Schiller. Apple explains “coming this year”, a free software update will bring support for multi-room audio (AirPlay 2), allowing multiple speakers throughout a home to play music simultaneously, or room specific audio (Sonos owners are familiar with this). Two HomePods can be paired together to create a stereo setup when this software update is available, later after launch. 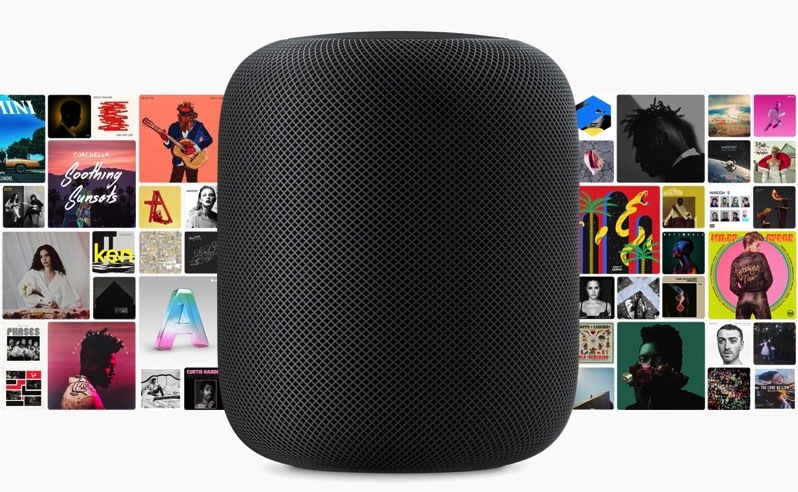 HomePod contains a “large” Apple-designed woofer which will offer deep, clean bass, plus has seven beam-forming tweeters which will “provide pure high frequency acoustics with directional control, and powerful technologies that preserve the richness and intent of original recordings.” There are six microphones on HomePod, to ensure “Hey Siri” can be heard across the room even during loud music. The speaker uses real-time acoustic modeling, audio beam-forming, echo cancellation and more, as it utilizes spatial awareness to sense its location and adjusts audio for perfect playback, all powered by the company’s A8 chip. The speaker will also act as a HomeKit hub as well, to control all your HomeKit devices with your voice. HomePod will debut at $349 US in white and space grey. With the current exchange rate, HomePod works out to about $435 CAD. There’s no word why there is a delay for the speaker in Canada, as Siri is fully functioning here in both English and French. With mention of France and Germany for the spring, we can only hope Canada may see HomePod at some point later in 2018. Many Canadians will most likely head down to the US to purchase the speaker and bring it back home—this feels like the days of the original iPhone all over again. Are you going to be purchasing HomePod when it launches in a couple weeks?